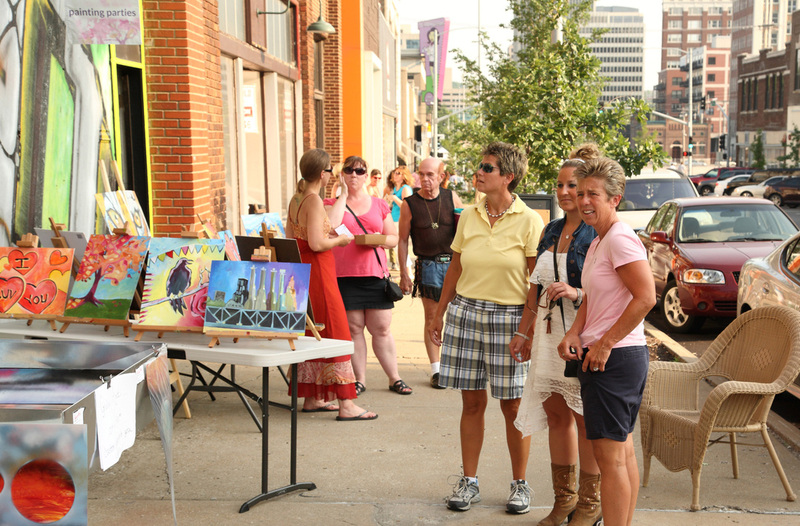 2000+ visitors attend each open house style celebration on First Fridays at the MOD Gallery. Located in the heart of the Crossroads Arts District, you will find Kansas City's up and coming artists, bands and cuisines on presentation every First Friday of the year in the 2000 square foot eclectically decorated gallery space. When you need an event space for that special event, MOD Gallery & Space is the perfect venue to lend a hip urban vibe to your party. If you need to get your hands dirty, attend one of our BYOB Paint Sessions on scheduled Tuesday, Wednesday & Thursday evenings. This personalized Art Experience is also available during your private party hosted at MOD.